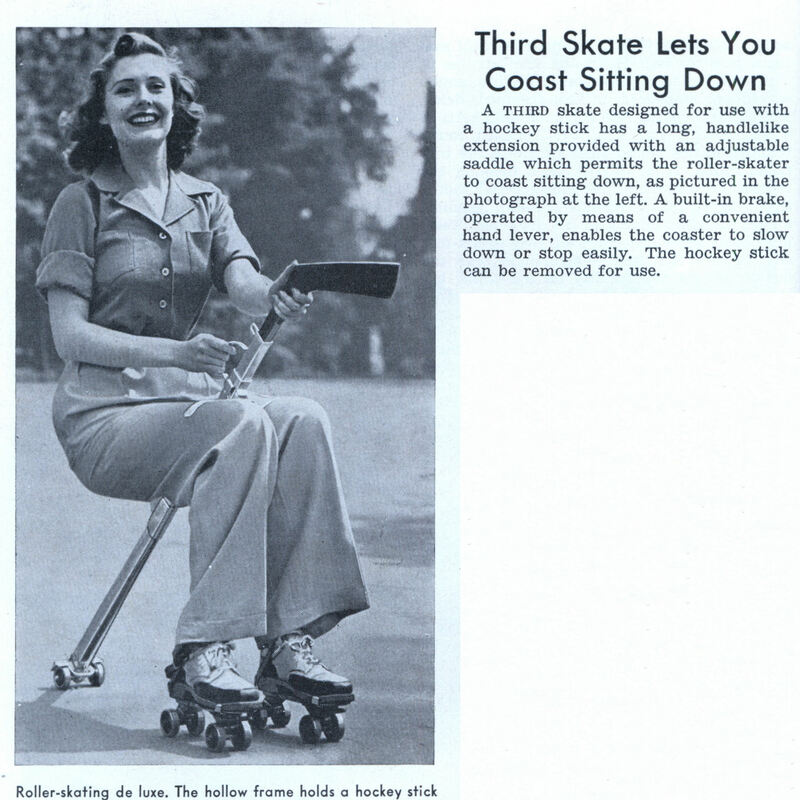 A third skate designed for use with a hockey stick has a long, handlelike extension provided with an adjustable saddle which permits the roller-skater to coast sitting down, as pictured in the photograph at the left. 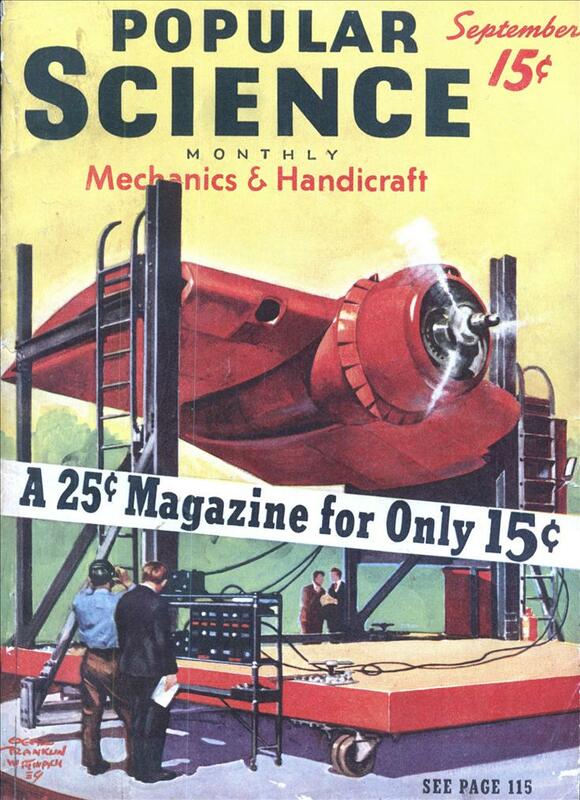 A built-in brake, operated by means of a convenient hand lever, enables the coaster to slow down or stop easily. The hockey stick can be removed for use. Holding up a significant portion of your body weight with your arms isn’t exactly comfortable. Anyone under 70 yrs of age probably never heard of the Hockey Stick Coaster. Those were the ‘good ole days’. I’d be worried about trying to stand back up! I have one; originally belonged to my dad. Wonder how many more are out there.